Only the best is sold at Great West! A big part of what makes Great West Trailer and Truck, Inc. a name you can rely on and trust is Josh Motley. Josh founded Great West Trailer and Truck in 2003, after selling GMC products for 12 years and trailers for 2 years. His drive earned him salesperson of the year honors from 1993-2000, and his extensive managerial and sales experience continues to be a huge asset to our team. In addition to his experience in the automotive industry, Josh brings first-hand knowledge of the professional rodeo arena. 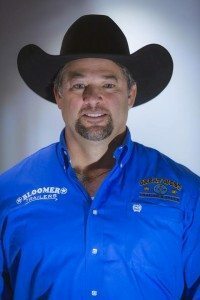 Raised as a tie down calf roper, he was the 2014 World Champion Tie Down Roper in the National Senior Pro Rodeo Association. Through his family's involvement in rodeo throughout the years, he's pulled many of the trailers available on the market and has learned through experience the necessity of buying a superior product. Josh understands both the needs of trailer buyers and what is necessary for horses and livestock. He knows he can offer quality products to any buyer and place them in the right trailer for their individual needs. Josh's focus on taking care of the customer before, during, and after the sale has put Great West at the top of the field. Our outstanding staff are experts in the ever changing horse market industry, and we sell top brands such as Bloomer, Exiss, Sooner, CM Trailers, CM Truck Beds, Big Tex, Top Hat, Elite, and Mission. Our company understands the needs of horsemen. From the rancher that hauls cattle to and from his fields, to the rodeo professional or horse show enthusiast who puts thousands of miles on their rig chasing championships, we've got it all! At Great West Trailer and Truck, we'll work with you to find the perfect truck or trailer that not only fits your needs but maybe even fulfills your dreams! Great West Trailer & Truck, 2019. All rights reserved.